Hunt for the hidden words in this wordsearch and you might figure out the name of the French Explorer that first discovered Niagara Falls. Tons of free, printable Sudoku Puzzles. 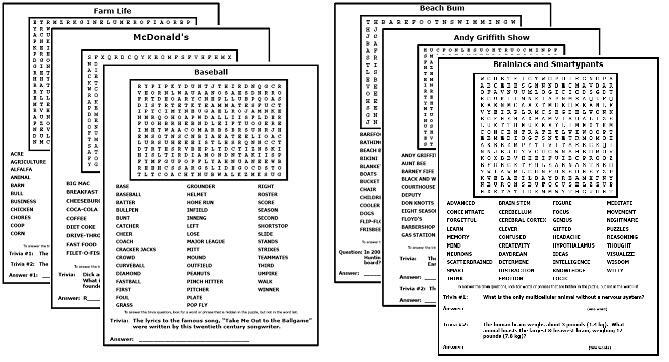 Why print your word search puzzles from THIS website? We make hard, challenging puzzles designed specifically for older kids and adults. All puzzles are specially formatted to print out prefectly on regular paper. We use large-print fonts that even the most sensitive eyes can handle. There's a fun trivia fact hidden in most word search puzzles. The puzzles are totally free!